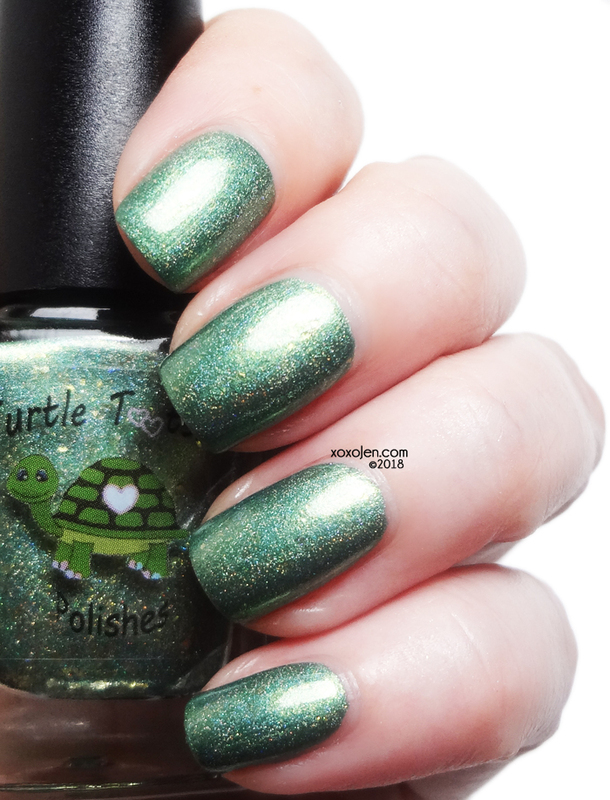 Turtle Tootsie polish is releasing this lucky St. Patrick's day trio on February 25th at Noon EST. The three polishes have different finishes sure to please! 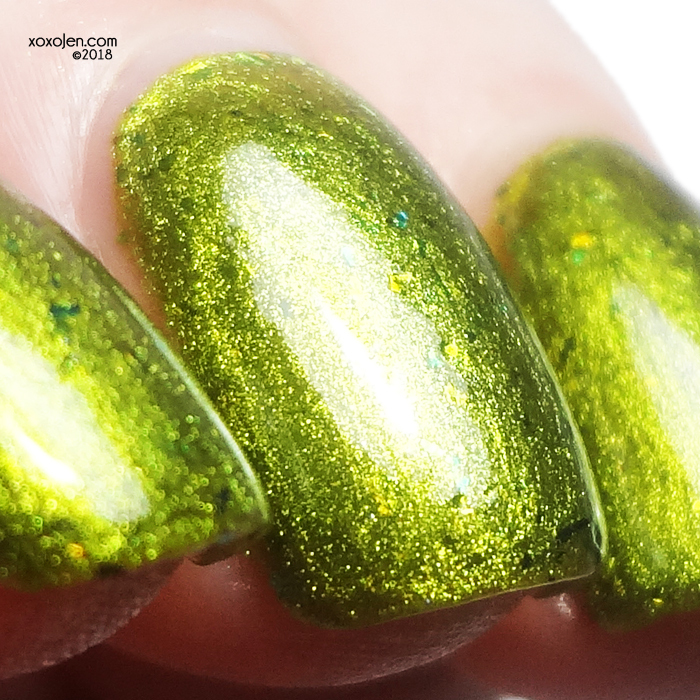 The gold flakes in this add a whole other dimension, such a beautifully done polish! Radioactive! Sure to catch your attention with its super vibrant lime shade and shifting flakes. This fresh white shimmery polish reminds me of dandelions emerging on a bright spring day. 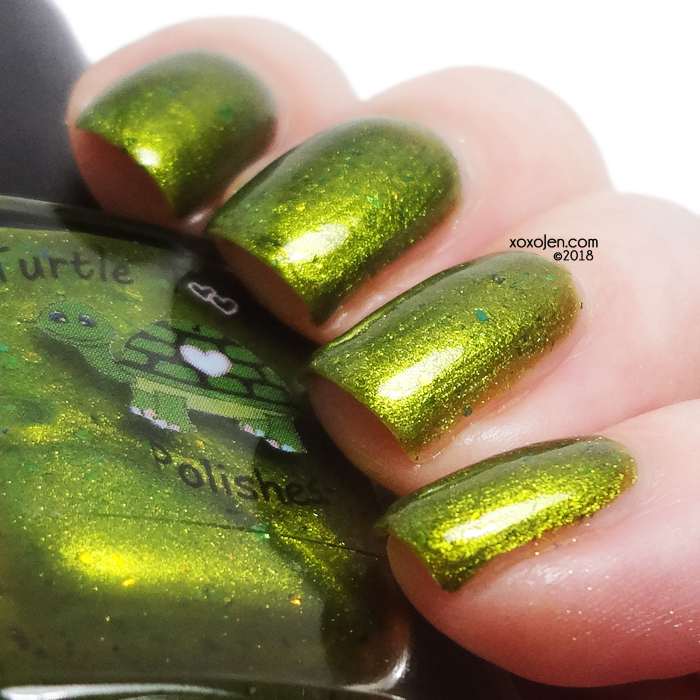 The formula on all of them is fantastic and each photo shows two coats. Are you picking up this trio?